Creating a social media presence for your car dealer website can bolster the credibility of your business in numerous ways. Given the increasing popularity of social networking sites such as Twitter and Facebook, there is every likelihood that all your existing and prospective customers are on these sites. Social media would enable you to portray your dealership to your customers and prospects in the best light possible and create an intimate system of engagement that would enhance interactivity and establish your dealership as a formidable player in the automotive industry. 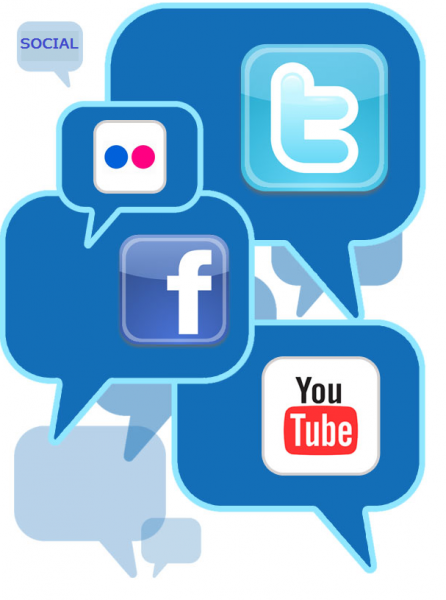 Here are some ways through which social media can enhance the credibility of your car dealer website. Establishes your brand – Registering your dealership for a social media profile would ensure that your brand has arrived on the social scene. This would give your car dealer website a phenomenal online presence and make your brand appear authentic and trustworthy to your fans. Professionalism – The popular adage “pictures speak a thousand words” holds true here. By uploading images and videos of your fleet of cars and your brick and mortar establishment to your social media profile, you would be able to exude a sense of professionalism, which would create a lasting impression in the minds of your customers. Professionalism can go a long way in creating valuable mind share for your dealership. Magnetize your audience – A social media profile would help you bring your audience to you instead of searching for them. Create a compelling social media profile that includes relevant keywords pertaining to your business. This would enable the search engine bots to send potential customers in your direction. A compelling profile would impress your targeted audience and they would be incentivized to become a part of your growing consumer base. Establish your authority – Leverage the power of social media by publishing content that is related to the automotive industry and your dealership. Publishing frequent optimized content on social media sites such as Youtube and Slideshare would help you establish your authority in your field of expertise. Your prospects would view the content and acknowledge your dealership as a credible and trusted source of information in the automotive industry. The more the merrier – It is a proven fact that the more fans or followers your social media profile has, the greater credibility your dealership would gain. Expand your targeted audience by constantly adding and updating your network. Social media marketing is all about numbers. More fans would create more traction for your car dealer website. Given the stiff competition that currently dominates the online marketing realm, it is imperative to devise new strategies to enhance the credibility of your business. A robust social media presence can ensure immense credibility while playing an instrumental role in generating valuable business leads for your automotive dealership. About the author: Chris Burns writes for car websites provider BURN SEO, LLC. Visit them online for more info about dealer websites and internet markteting.